The option to work from home is a welcome perk for many employees. But at Dell, it's more than just a benefit that makes staff happy. It's a conscious business strategy that also saves money and actually helps the environment, the Texas-based tech company says. Today, 25% of Dell employees work from home either full-time or a few days a week. The company is aiming to double that share to 50% by 2020. That's well above the national figure of 2.8% of employees, according to GlobalWorkplaceAnalytics.com. Dell staffers can choose where they work, unless their role requires them to be on site -- for instance, manufacturing Dell products at a factory. Where you choose to work -- at home or at the office -- won't count for or against you, so long as it's the best place for you to get your work done and you provide the results the company wants, according to Mohammed Chahdi, Dell's global director of HR services. "We're pushing a culture where it just doesn't matter. Your location simply doesn't matter anymore," said Chahdi, speaking to CNNMoney from his own standing desk at his home office in Toronto. The financial upshot is that the company has been able save roughly $12 million a year in real estate costs by consolidating and creating more flexible workspace options. The thinking is that if employees only come in to the office a day or two a week they don't need a permanent desk. So Dell reduced its square footage and redesigned work spaces to provide more communal areas and more hoteling options, in which employees can reserve desks when needed. One end result bonus: Dell work spaces generally just look "cooler" now, Chahdi said. And Dell employees -- who on average work remotely 10 days a month -- save about $350 a year in commuting costs. Beyond dollars and cents, the company takes its return-on-investment analysis one step further. It estimates that telecommuting policies have greatly reduced the carbon footprint of both the company's facilities and employees. For instance, Dell says employees who work remotely reduce their travel by 136 million miles a year, which means they emit 35,000 fewer metric tonnes of greenhouse gas. That's the equivalent of taking nearly 7,400 cars off the road each year. Chahdi said telecommuting hasn't hurt productivity at all. It may even have boosted it slightly, he added, but not enough for Dell to make that claim. Instead, the real ROI of telecommuting at Dell, he explained, comes from acknowledging that people have their own work styles and life needs. The more the company can accommodate them, the more it creates an environment for employees -- and in turn, the company -- to succeed. Related: What if you had to reserve your desk at work? 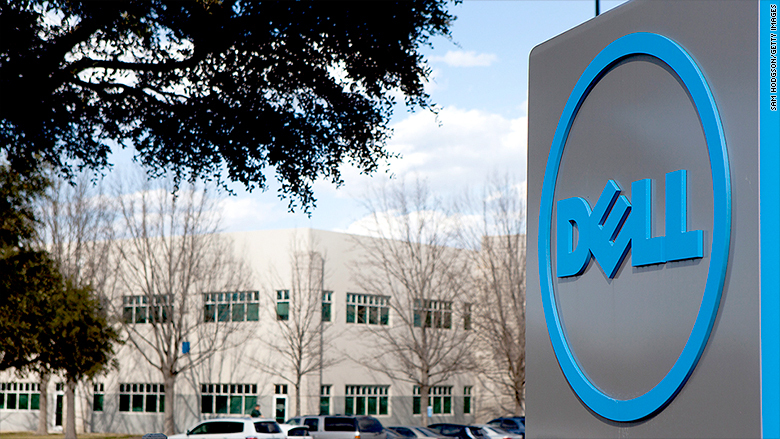 Carly Tatum, who works in Dell's marketing department and is based near the company's Round Rock, Texas, headquarters, said the option to work at home a few times a week is invaluable to her given that she has two children and two dogs. It means she can funnel the time and energy she'd otherwise spend commuting into "the chaos of getting a whole family ready for the day." And it also gives her the option to work in Colorado during summer family retreats without missing a beat.